If you have finally made the decision to check yourself into rehab, you're on the way to a better life. Although it sounds difficult, choosing the right rehab center doesn't have to be. First of all, if you read too much into it, you're going to wind up recanting the idea of going in the first place. There are a few things to consider when you're looking for a place to detox and seek treatment from. Consider the price. A more expensive facility does not necessarily mean better treatment, but if you can afford to go to a higher-end rehab, you may feel more comfortable in the long run. If you can't afford this option or don't have insurance, find a facility that is willing to work within your budget or offer financing. Inpatient or outpatient? In my experience, outpatient treatment means “you get to get high or drunk as long as you attend your scheduled counseling and treatment times.” Facilities that offer inpatient treatment are a better option and tend to help you focus solely on your recovery. Consider the location. The only facility in my hometown was walking distance from three of my drug dealers’ homes – meaning, I would constantly be weighing the options of running away during a smoke break. You want to find a rehab that is not in the heart of temptation but one that, when you are discharged, will provide you with an easy transition. And last, but obviously not least, is the program. All rehab centers are different; some use the 12-step model while others use a “less-religious” model. You don't want to commit yourself to a rehab center that is using a method of treatment you are uncomfortable with. Another helpful tip is to ask around. People that you meet in meetings usually have experience with rehab centers, whether good or bad, and you can get a glimpse on how the facility works. Rehab centers can truly serve their purpose if you go into treatment with an open mind but you also don't want to sacrifice your own beliefs and comfort because they may turn into reservations and give you an excuse to leave. A little research can go a long way. Different rehabilitation centers offer different length programs. The first, and shortest in duration of the recovery process, is that of detox. This will last roughly a week and the time is spent cleansing your body of the toxin. During this period, physical discomfort, nausea and withdrawal symptoms will oftentimes emerge. Afterwards, you can choose to enter either a short-term program or a long-term program. Short-term programs will generally last about 30 days. Many are state run nonprofits so be aware that should you choose that route, it is not going to be the private luxurious resort spa setting you may see on TV. The goal of short-term programs is to get the patient adjusted to living a life without drugs and to plant the seed of an idea to change. If you decide to undergo a long-term program, it can last anywhere from 60 to 90 days or even more. 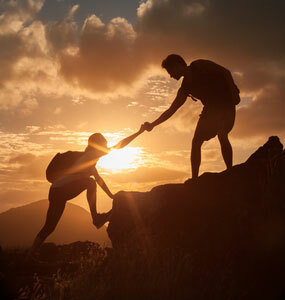 The goal of a long-term program is to instill the client with the adequate coping techniques, group support and life management skills that will enable the habits learned during treatment to be carried over throughout a long, happy, drug-free life. Generally speaking, the longer the treatment program, the better the results with a decreased chance of relapse. However, different personality types will respond differently to each of these programs. Deciding on the correct rehabilitation center can be a daunting task. Many facilities don’t have a focus on dual diagnosis, which is a critical component of treatment to avoid relapse. Dual diagnosis is the practice of treating not just addiction itself, but the underlying issues such as depression, bipolar disorder, anxiety issues and any other conditions that trigger harmful means of self-medication. Premier rehabilitation providers also offer primary therapies such as cognitive behavioral therapy and mindfulness and adjunct practices such as yoga, art therapy and equine therapy. These will help patients recover completely and see rehabilitation as a fulfilling stage of life. Patients should look back at this time as a positive memory, not negative situation.